This is 45 Colt Winchester Supreme Elite 225gr. 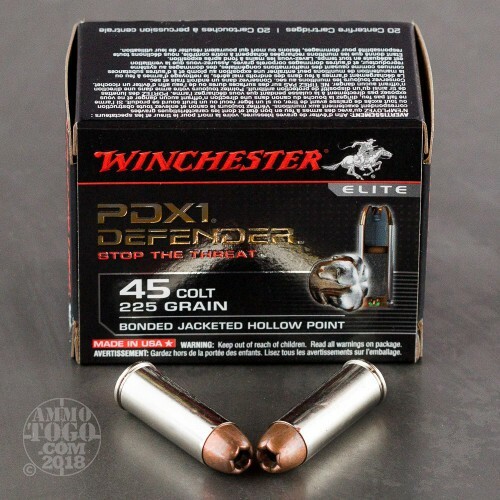 Bonded Jacketed Hollow Point PDX Ammo. 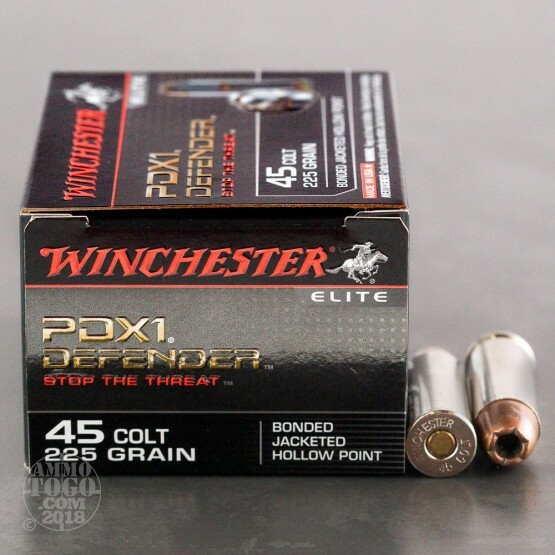 The new Winchester Supreme Elite Bonded PDX1, which was chosen by the FBI as their primary service round, is now available in a full line of popular handgun calibers. 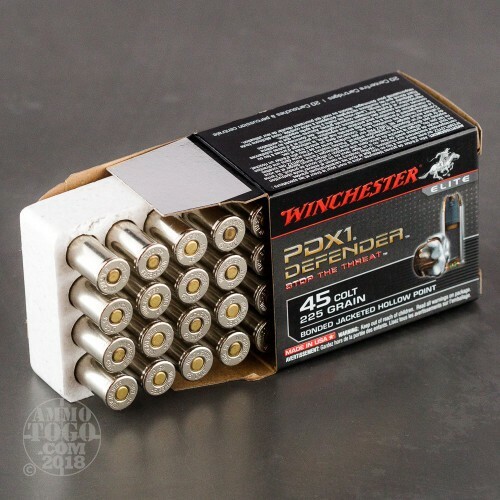 The Bonded PDX1 is engineered to maximize terminal ballistics, as defined by the demanding FBI test protocol, which simulates real-world threats. The proprietary bonding process welds lead and jacket together to work as a unit controlling expansion and providing superior retained weight. Upon impact the hollow point expands to 1.5 times the size of the original bullet diameter—maximizing the threat stopping power. The jacket has been notched into six segments to help promote positive, consistent and programmed expansion at a variety of impact velocities. 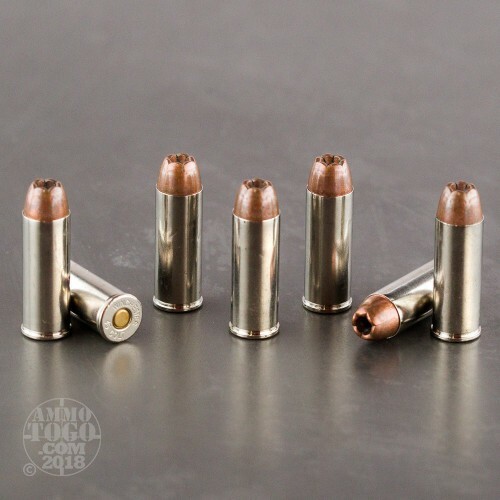 The ammunition has a nickel plated case helping to ensure positive gun function through smooth chambering and shell case ejection. Packed 20rds. per box.